Chandigarh, Feb 1: India produced record-breaking agri-production this year. Haryana will be become the first state to start treading these products, the state government agreed for inter-state trading of Mustard produce by using e-NAM (National Agricultural Market). This move from state government will help farmers to get bargaining power and better price for production. 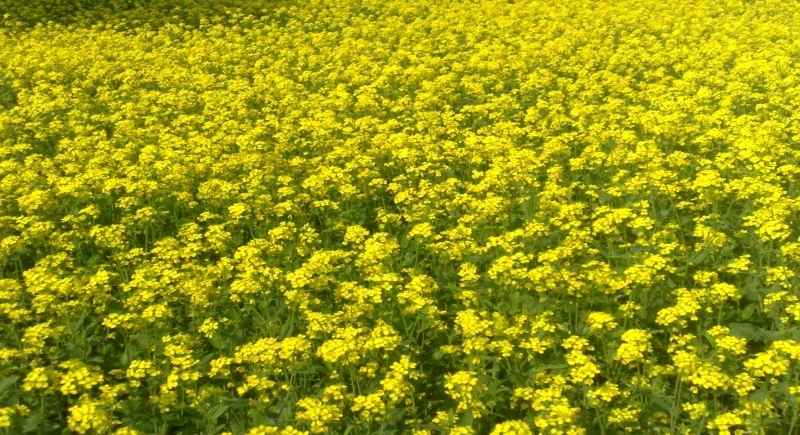 The Mustard production in Haryana is expected to touch a record high of 50-60 lakh quintals spread over 13 lakh acres, the produce in 2018 is only 35 lakh quintals. “Mustard will be harvested in Haryana by next month. To start with, we are targeting to facilitate inter-state trading in mustard by February-end followed by other crops,” said Haryana State Agriculture Marketing Board’s chief marketing enforcement officer, Raj Kumar Beniwal. Haryana started the process of connecting mandis to e-Nam in April 2016 and till it has connected 54 mandis with this platform. For next 27 mandis to connect, the state has gained the approval of center. The state has a total of 113 mandis, over 20 lakh farmers are registered on the platform. e-NAM is an electronic trading portal which networks the existing AMPC mandis to create a unified national market for agricultural commodities. This portal provides commodity arrivals and prices, buys and sells, trade offers provisions to respond to trade offers among other services. It was launched by PM Narendra Modi in 2016.